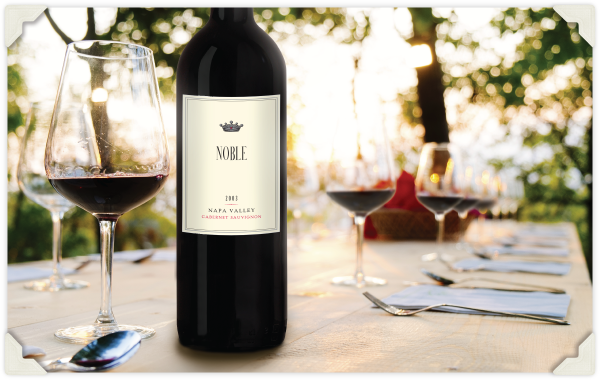 Join Noble Wines’ proprietor and Napa Valley vintner, George Noble, for an intimate and sumptuous lunch at Meadowood, one of Napa Valley’s finest and most exclusive culinary destinations. Vertical tastings, paired with delicious foods are the preferred way to truly understand a wine’s character and the nuances of great food-friendly wines. Your sights and senses will be delighted by this wine and food experience that provides you VIP access to taste through a vertical of Noble’s award-winning and highly sought after Cabernets produced from hand-selected vineyard lots grown in some of Napa’s most prestigious grape growing regions — St. Helena, Pritchard Hill, Rutherford Bench, and Atlas Peak. With an experience like this, availability is strictly limited. Advance reservations are required to be invited to this special vintner lunch at Meadowood with George Noble.